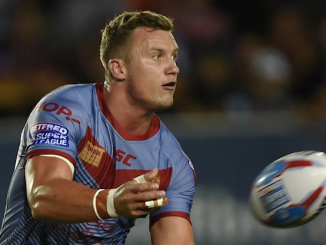 St Helens returned two points clear at the top of the Betfred Super League after ending Castleford’s unbeaten home start with an emphatic eight try rout at the Mend-a-Hose Jungle. The Tigers came into the game just two places below the Saints but looked clunky and unorganised as they were put to the sword by Justin Holbrook’s rampant visitors. Dom Peyroux maintained his excellent recent form with a brace, while Lachlan Coote, Regan Grace, Zeb Taia, Louis McCarthy-Scarsbrook, Mark Percival and Jonny Lomax added further scores. Despite scoring twice late on through Michael Shenton and Jake Trueman, the hosts were well below par and were always on the back foot against the league leaders. Daryl Powell welcomed Grant Millington back from suspension against the Saints, and James Clare took a spot on the bench, while the visitors were unchanged following last week’s thumping of Huddersfield. It took just five minutes for Coote to open the scoring as he latched onto a short James Roby pass and stretched over to score, before the Australian extended the lead to eight with the boot. Grace added a second shortly after the quarter mark as he finished acrobatically in the corner following a sweeping move off the back of a scrum, before Peyroux barged his way through the line six minutes before the break to make it 18-0. Zeb Taia continued the scoring shortly after the break as he strolled over to the left of the sticks following a short pass from Jonny Lomax, before LMS crashed his way over from close-range to put the game out of Castleford’s reach. Mark Percival got in on the act a few minutes later after outmuscling Adam Milner and Alex Foster to cross, but despite this, Castleford did manage to get on the scoreboard through a length-of-the-field Michael Shenton interception, although replays suggested he was offside in the lead-up. It mattered little though, as Peyroux’s second rampaging effort was followed up eight minutes later by Lomax, who was on-hand to support Percival’s break down the left to cross under the sticks. Jake Trueman did manage to evade four Saints defenders and cross for a super jinking solo effort on the stroke of full-time to make the scoreline a little more respectable, but it mattered little as Saints went on to record their seventh straight win of 2019. 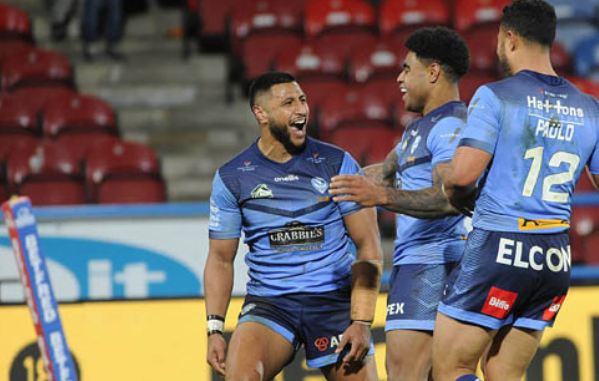 It may be a little early to see, but Peyroux must surely be a cert for the 2019 Super League Dream Team if he can keep this level of performance up. In a game where Saints were firing on all cylinders throughout, their Samoan international second-rower stood out for his scintillating mix of devastating attack and dominance in defence. 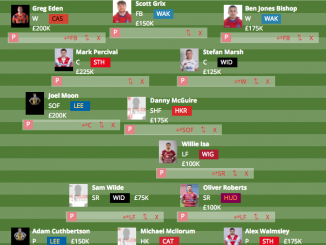 Having players like Peyroux doing the hard work in the engine room makes Jonny Lomax and Theo Fages’ job in the centre of the park so much easier. He set the platform time and time again – aided slightly by the sheer volume of penalties conceded by the Tigers – and gave his backs the framework from which to strut their stuff. 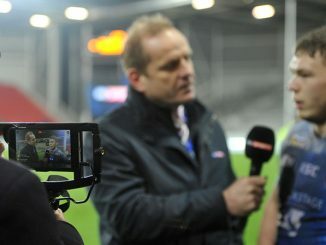 Man of the match could’ve gone to any number of players, with fellow second-rower Zeb Taia and Lomax also standing out. However, it must go to the 30-year-old, who is getting better with every passing game. 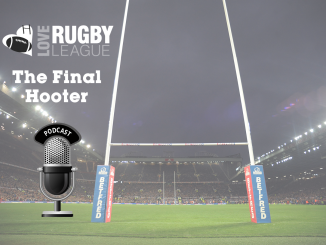 This contest can be summed up in four words – Saints sensational, Castleford catastrophic. I’m not sure Daryl Powell could believe what he was seeing, and he even went as far as to enter the field of play himself to speak to Shenton and Greg Eden after the visitors’ third try of the game. Let’s make no mistake, this was the best performance of any side so far in 2019. However, there is that lingering acknowledgement that the Merseysiders were made to look even better by the pitiful display served up by their Yorkshire opposition. 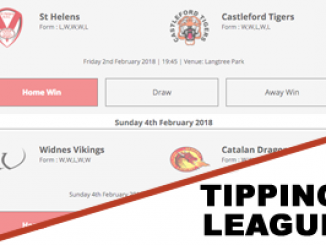 The Tigers will be hoping that this will be a one-off, and with a huge game coming up against Leeds at Headingley next week, they will need to forget about this evening as soon as possible. As for Justin Holbrook’s side, they need to keep this momentum going for as long as they can. Their display was the epitomisation of an unrelenting, unforgiving, clinical 80 minutes of rugby league. They have set the bar for the rest of Super League, and they don’t look like being stopped anytime soon.